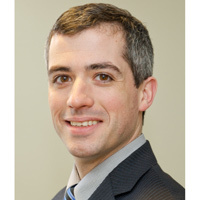 The Office of Academic Affairs announced that Justin Bitner has been appointed interim director of Webster University’s Office of Institutional Effectiveness (OIE), effective immediately. “As assistant director of the OIE, Justin gained experience in all responsibilities of the office and provided leadership in key areas such as learning outcomes assessment,” said Vice Provost Nancy Hellerud. Bitner, who has been with Webster for five years, served as assistant director of the OIE under Dr. Julie Weissman, whose retirement was announced earlier. The OIE, a unit of the Office of Academic Affairs, provides resources to support informed decision making, analysis, and student learning outcomes assessment at the University.For more information, see www.webster.edu/effectiveness. Separately, Erica Ellard, director of the Academic Resource Center (ARC), announced that Lisa Hempen will soon transition to the ARC to fill the open Student Success Coordinator position. Since May 2015, Hempen has worked with the Graduate Academic Advising team at Webster. There, she has been instrumental in developing best practices in online advising using Dropout Detective and in the incorporation of virtual advising for online and distance students. Prior to joining Webster, Hempen has worked in academic advising and retention programs for 11 years, focusing on graduate and undergraduate students and, often, specifically on freshmen and at-risk students. Hempen has expertise in data tracking, program development, at-risk and referral systems, and academic success workshops. As the ARC Student Success Coordinator, Hempen will work with all of Webster’s students throughout the global system, providing academic counseling and support. 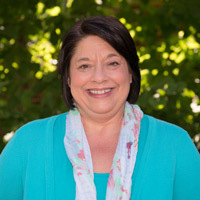 She will work especially closely with students at the Webster Groves campus who have documented disabilities and/or are in the Transitions program, but she will also work with all students needing assistance at the home campus, extended sites, international locations and online. Much of her work will also involve working with undergraduate students on Academic Probation and all students with Incomplete grades, assisting students in both situations to recover their grades and achieve academic success. Hempen will start her new role on July 18 and will jump straight in, working with the ARC team and the Transitions program during an intensive two weeks focused on the summer Transitions and Academic Prep (TAP) program.